Determining if toolholder components need to be replaced is not a difficult task, but does require that the operator knows what to look for. 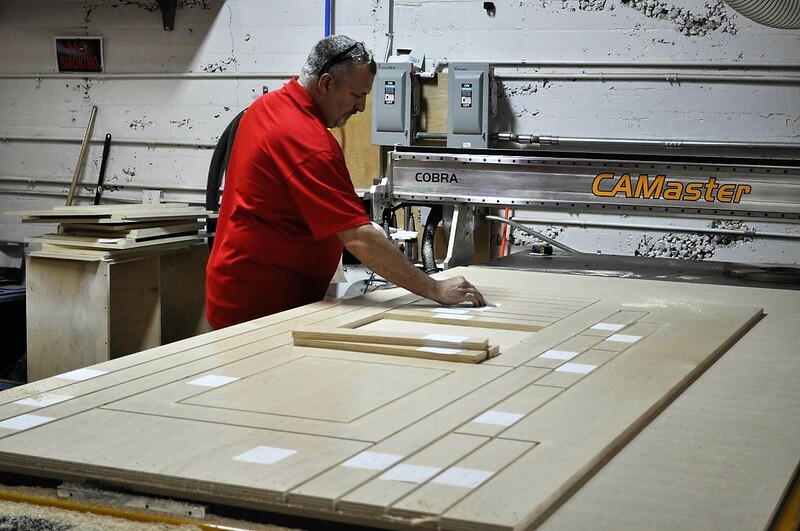 Listed below are a few things to consider when CNC machining wood and panel products. 1 Checking for Spindle Mouth Wear: A worn spindle can cause runout issues that affect toolholder accuracy and reduce cutting quality and productivity. This is a condition known as bell mouthing. If toolholder issues can be eliminated by bench checking T.I.R., then the source of the problem is often a worn out spindle mouth. 2 ATC Alignment Issues: It’s crucial to maintain proper ATC swingarm alignment. If the ATC does not insert the toolholder perfectly, damage to the spindle and toolholder may result. 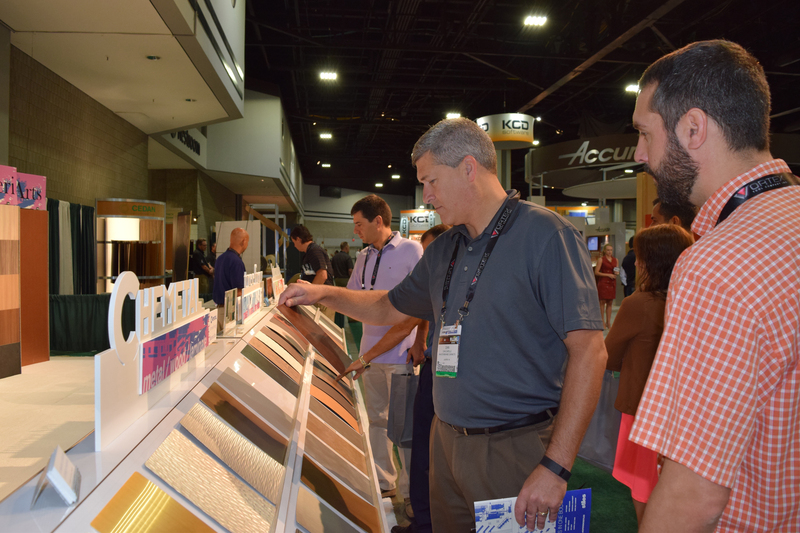 Also poor cutting tool performance and reduced tool life will be evident. 3 Evaluating Toolholders for Wear: A worn out holder will not provide good accuracy and will quickly wear out cutting tools. Worn tooling causes poor surface finish and may damage your spindle. 4 Taper Wear/Fretting: Check the taper for signs of wear or damage where it contacts the spindle mouth. Any problems with the taper will have a direct effect on machining accuracy. If there are any imperfections on the taper, the toolholder should not be used. If noticeable marking is evident on the taper, a condition called fretting may be occurring. Fretting happens when two steel parts rub against one another. 5 Collet Nuts: In order for the toolholder to be balanced and maintaining accuracy while machining, it must have a balanced nut. Many manufacturers use bearing nuts with their collets. However, since bearing nuts have moving parts they are difficult to keep balanced, and prone to seizure if the seals fail. Power coat nuts are balanced and provide 75% more holding power on the tool shank. 6 Pull Studs (retention knobs): The pull stud is a critical safety component because it maintains the connection between the spindle and the toolholder. If that connection fails, the holder will dangerously fly out of the spindle. Check the pull studs periodically for signs of wear, cracks, or other damage, and replace any that are not perfect otherwise a dangerous situation may result. 7 Preventive Maintenance: To ensure proper performance of your toolholders, the overall cleanliness of the toolholder, collet pocket, collet and nut must be maintained. It’s important to remember that all these components are manufactured to perform within tolerances of 0.0001 inch. Any dirt, dust, oil, chips, or other contaminant left on the spindle, taper, flange, collet, collet pocket, or nut can cause poor T.I.R. 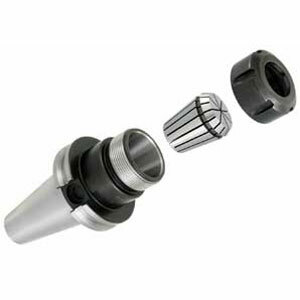 (runout) leading to premature wear of cutting tool, toolholder, and spindle mouth.